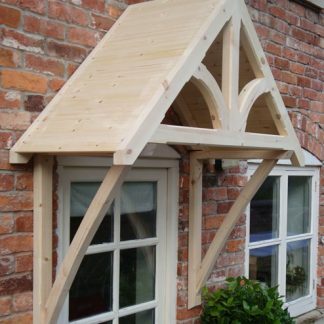 The Ellesmere door canopy is a very distinctive design and is well suited to any style of property. 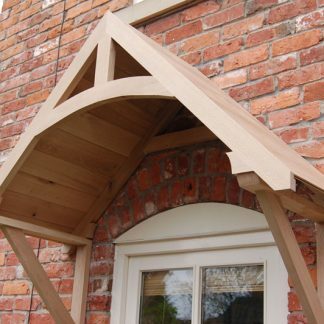 The Ellesmere Canopy is can be made to any width with the addition of more brackets, available in Redwood and quality Kiln dried European Oak. 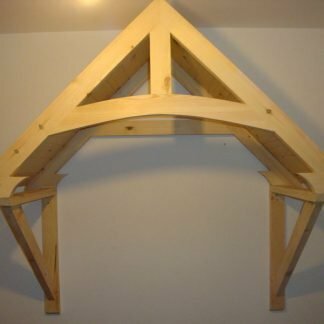 All our Redwood canopies are made from first quality seasoned redwood, sourced from a reputable supply. It is all P.E.F.C and F.S.C Certified. 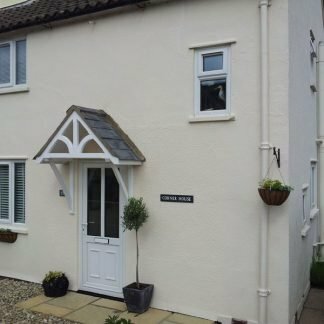 The standard range is constructed from 70mm x 45mm stock. 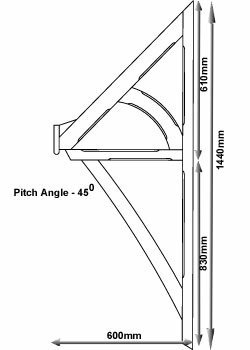 The tongue and groove boarding is 10mm thick. 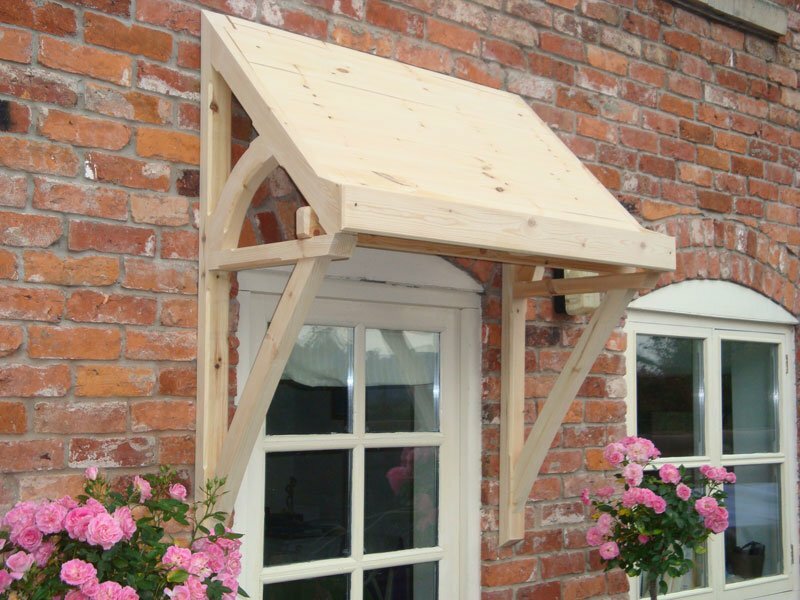 We manufacture four standard size canopies.